University of Calcutta invites the applications for admission to PhD program in the Department of Biophysics, Molecular Biology & Bioinformatics through Research Eligibility Test (RET) 2018. Applicants with at least 55% marks in the M Sc level from any UGC recognized university are eligible to appear at the examination. Applicants belonging to SC/ST/OBC (non-creamy layer)/differently-abled and other categories as per UGC norm need to have at least 50% marks in the M Sc level to appear at the examination. Those who have qualified in UGC/CSIR (JRF)/NET/SET/SLET/GATE/Teacher Eligibility or equivalent examinations or have already obtained M Phil degree would be exempted from the written examination but must appear for an interview on the scheduled date. 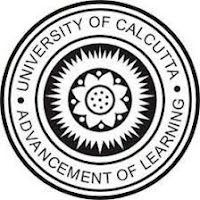 Filled in applications together with self-attested testimonials are to be sent to The Head, Department of Biophysics, Molecular Biology & Bioinformatics, University of Calcutta, 92 Acharya Prafulla Chandra Road, Kolkata 700009. Last date of submission of forms: October 10th, 2018. List of candidates eligible for the written test to be displayed on: October 11th, 2018. Date of written test: October 30th, 2018. Venue: Department of Biophysics, Molecular Biology & Bioinformatics. List of candidates eligible (from the written test) for the interview to be displayed on: October 30th, 2018, 16:30 hrs. Interview: October 31st, 2018 (from 12:00 hrs. ).